I recently wrapped up my first semester-long course at MIT, called the Data Storytelling Studio. Students posted all their work on the course blog, but I wanted to share short summaries of their wonderful final projects! All but one focused on the topic of food security. 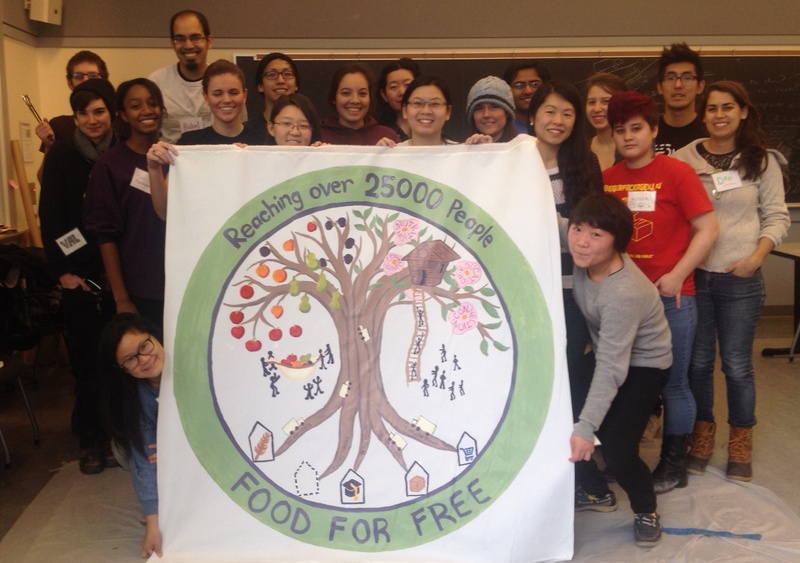 Tuyen Bui, Hayley Song, Deborah Chen worked with partners in Somerville, MA to create a short video about the challenge and community response to food insecurity among local youth. They shot video with local programs and included “pop up” data about the problems. The goal was to raise awareness about the problem and solutions to drive people to volunteer with the partners featured. Watch their movie, or read more about the Somerville Resources video. Danielle Man, Edwin Zhang, Harihar Subramanyam & Tami Forrester explored food pricing data, nutrition data, and SNAP benefit data in the hopes of building empathy with enrolled in SNAP. They created an interactive text-based game that puts you in the role of a single parent on SNAP shopping for food for themself and their two children. Play the game and see how you fare making hard decisions about what to buy for your family on a tight budget. Read more about their SnapSim project. Mary Delaney and Stephen Suen worked with demographic data about SNAP participants, food nutrition data, and housing data. They wanted to build empathy and understanding among college students for the difficult trade-offs those in SNAP have to make between health, happiness, and financial security. Mary and Stephen created a text based game where you take on the persona of a SNAP participant and are forced to make decisions over time about what when to buy food and what to buy to feed your family. Play their game now, or read more about their SNAP Judgements project. Val Healy, Nolan Essigmann and Ceri Riley explored data about drought and water use in the United States. Their goal was to tell a story to young college students about how individual conservation choices are largely symbolic in terms of environmental impact, and urge them to word on collective solutions that focus on agricultural and industrial water usage. They created a web-scrolling infographic to tell their story. Read more about the Drought Debunkers project. Laura Perovich & Desi Gonzalez looked at color use in famous paintings. Their goal was to build engagement with children around visual elements of art and spark their interests in the arts by connecting in novel ways. They created a wonderful set of custom crayons that matched the color distributions in various paintings, and an activity book they play-tested with a small set of children. Read more about their Art Crayon Toolkit. I’ve been radio silent for the last half year for two reasons. Firstly, we had a new baby! Secondly, I’ve been planning and am now teaching a semester long course at MIT for undergraduates and graduate students. I’ve called this course the Data Storytelling Studio. You can follow the course blog at http://cms631.datatherapy.org. I’ll continue to blog here, but less frequently this semester. I prefer not to share cute baby pictures online, but am happy to share pictures from the course! I’ve sketched it out with my colleague Catherine D’Ignazio, assistant professor at Emerson college. She is teaching a version tailored for journalists there, while I teach a diverse audience of MIT students (the course is offered by the Comparitive Media Studies / Writing program). The course isn’t a programming or data science course; the focus is more on process, tools, and creative presentation. I’ve focused on the topic of food security for this semester, so most of the projects and assignments will focus on that. In fact, our mural tells a story about Food For Free, a local organization that runs food rescue and other programming. As you can see, we’re off to a great start!